Kirk is a wonderful silver gray male. 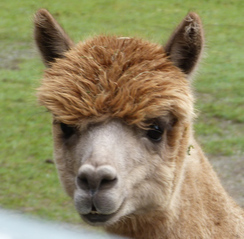 Kirk's fleece exhibits a tight, high frequency crimp from tip to base and is uniform throughout his blanket. He repeatedly receives comments on his superb fineness and handle. Lillibet offers a wealth of fine genetics in her background! She is a beautiful girl from Yupanqui daughter, Bella Notte, and is sired by Squire Creek's Copa, an outstanding son of Patagonia's Lennox. 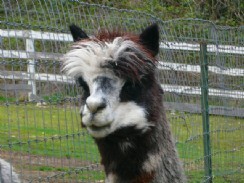 Lillibet has good conformation and beautiful fleece in an unusual color of fawn with loads of grey undertones. Serena is a healthy and vigorous young female. Born on June 10 weighing 16 pounds, Serena wasted no time at the 'milk bar' and was well over 50 pounds by the end of August! Serena is sired by Luc's Captian Kirk (Dom Lucilio / Royal Fawn line) - a wonderful silver grey male that exhibits lasting fineness and superior hand even later in life. 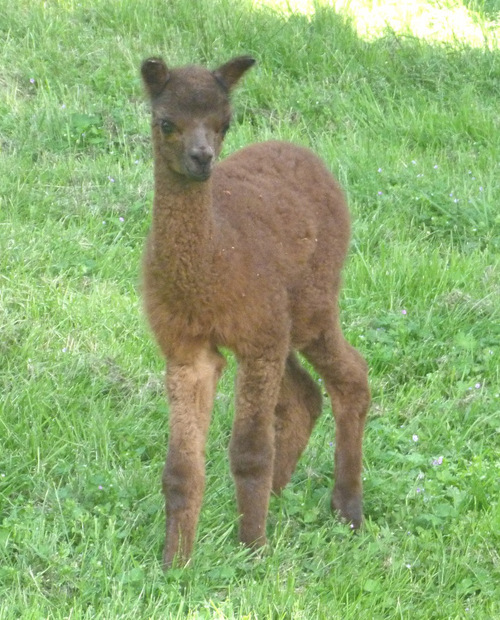 Her dam is our Lillibet - medium fawn with grey undertones and a lovely soft hand. Serena is a beautiful girl with a sweet, feminine face. She is dark brown in color transitioning to black on her face and ears - and one tiny spot of gray in her blanket. 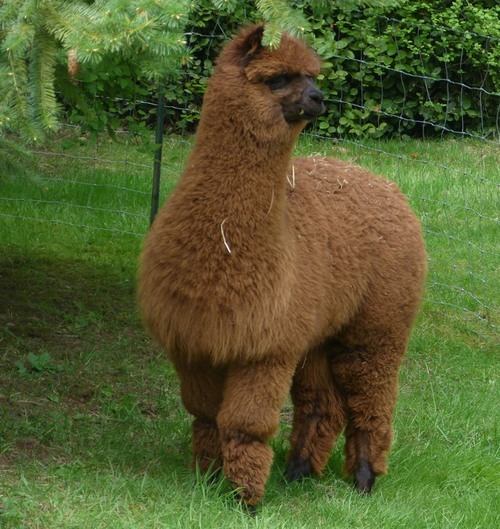 With her background, we think Serena has what it takes to contribute to lasting fiber fineness and nice hand in a breeding program - and it will be fun to see what she can do color-wise! 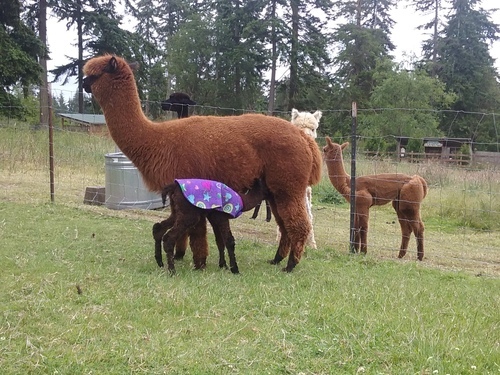 Serena recently delivered her first cria! 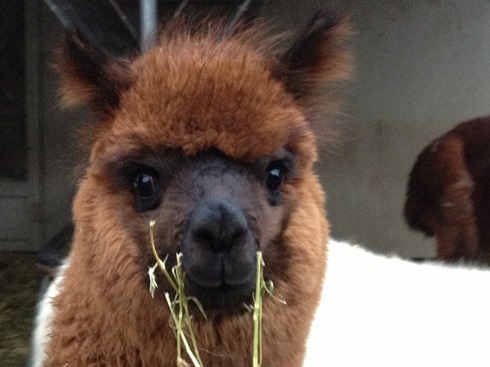 Serena had a quick and trouble free delivery and is proving to be an attentive and nurturing mom. 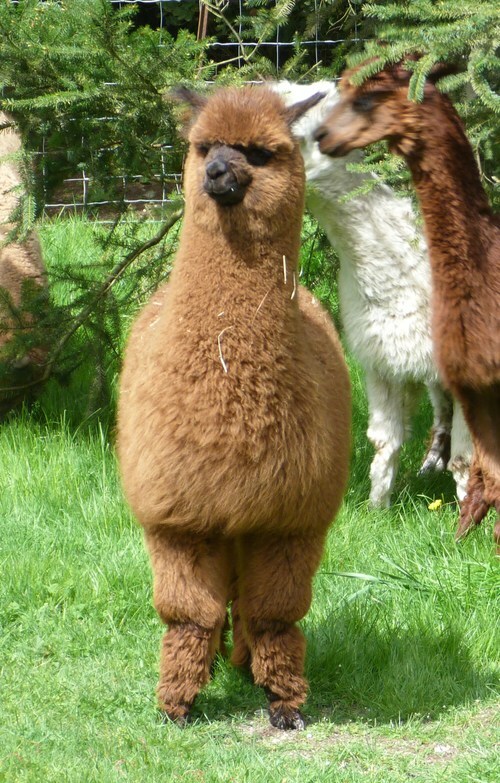 Sired by Sweet Pines Midnight Ryder, we are delighted with Serena's first cria - a bay black boy. The sire, Midnight Ryder is a beautiful silky fine black male with a great hand and density. We thought his attributes would compliment Serena's nicely, and we are very happy with the result. Serena is not currently registered, but can be at no additional charge to her new owner. Her price includes re-breeding to any Pronkin' Pastures herdsire. Flexible financing plans available. Contact us and we'll come up with a personalized plan to suit your needs.